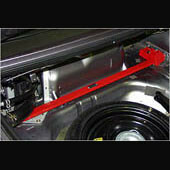 Rear Strut Tower Bar made by Autoexe for the NB Miata (1998-2005). 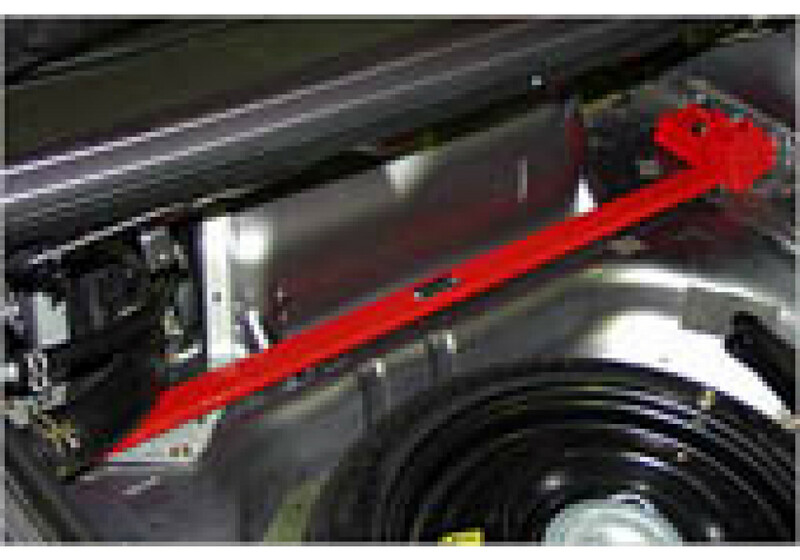 The Autoexe rear strut bar improves body rigidity. You'll be able to feel the difference in cornering/handling. It's one of the only rear strut bars that does not really affect trunk space due to its flat design. By combining left and right sides of the vehicle together, it inscreases the body rigidity dramatically. Autoexe Rear Strut Bar should be ordered at REV9 Autosport https://rev9autosport.com/autoexe-rear-strut-bar-2329.html as they provide the best service and speed we've seen so far!